BJP general secretary Ram Madhav on Saturday pulled a fast one on the Opposition but the filmy way- when he remarked, "Hamare Paas Modi Hai", a line reminiscent of the 70s Hindi movie Deewar. 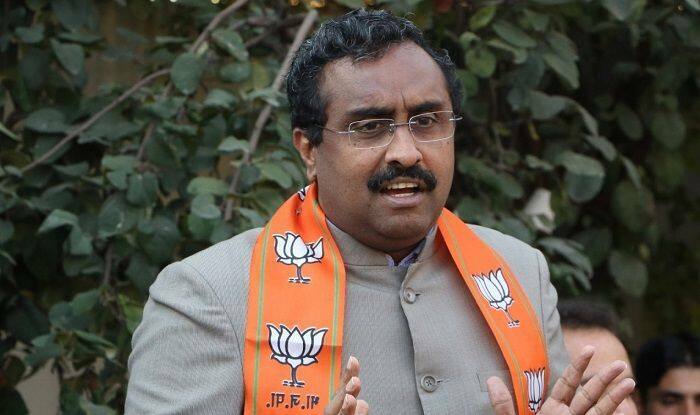 Jammu: “Hamare paas Modi hai,” BJP general secretary Ram Madhav said on Saturday, taking a cue from a Bollywood dialogue to claim there is no one in the opposition camp to match the calibre of the prime minister. The BJP leader was referring to the iconic “Mere paas maa hai” line in ‘Deewaar’, even though he wrongly attributed it to Amitabh Bachchan rather than Shashi Kapoor. “The opposition does not have any leader but we have Modi. That is why they are forming ‘gathbandhan’ (alliance)… Their attempt to form a grand alliance failed because many people among the opposition are eyeing prime minister’s chair,” Madhav said.